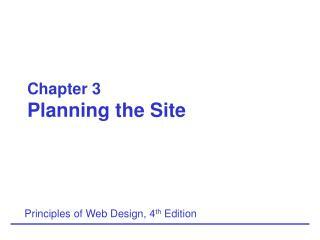 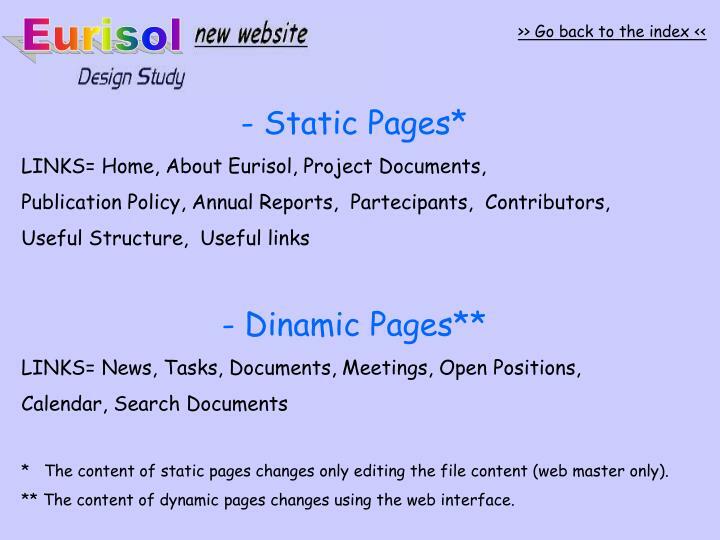 * The content of static pages changes only editing the file content (web master only). 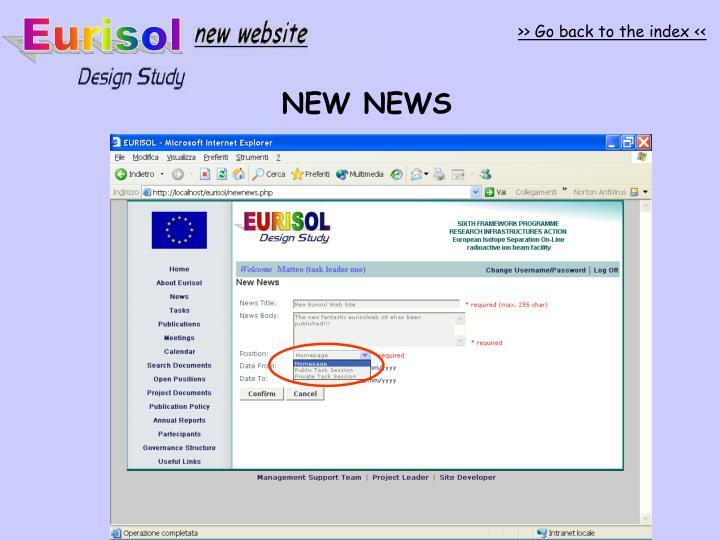 ** The content of dynamic pages changes using the web interface. 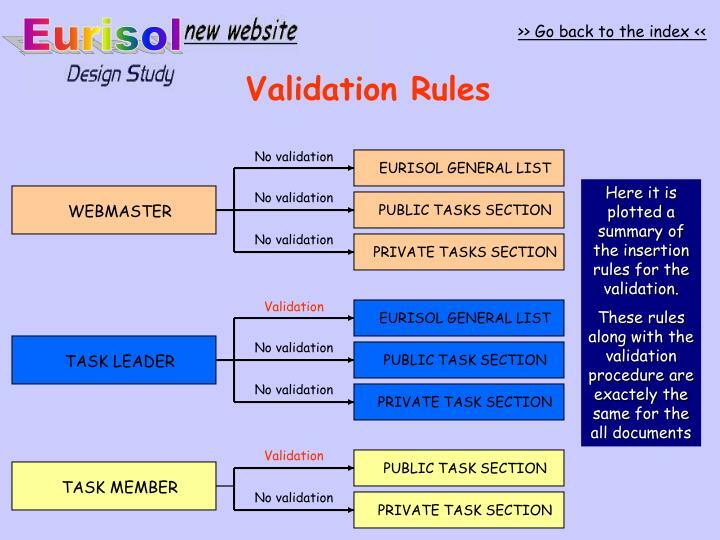 Here it is plotted a summary of the insertion rules for the validation. 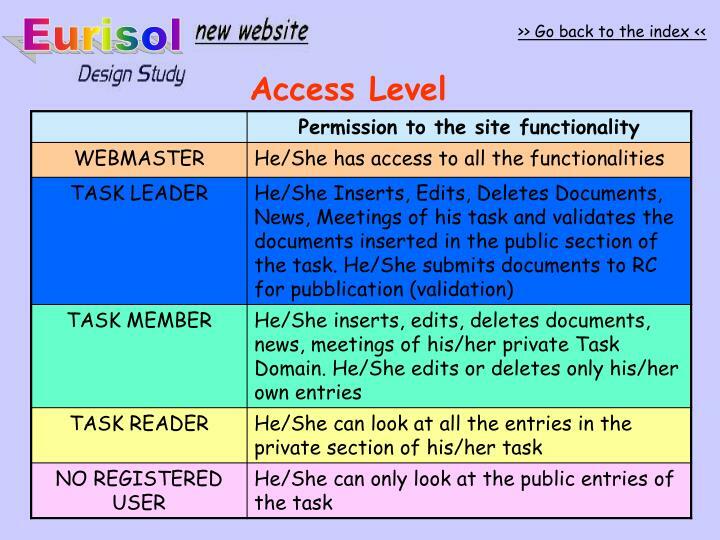 The users have access to different functionalities according to their access level. 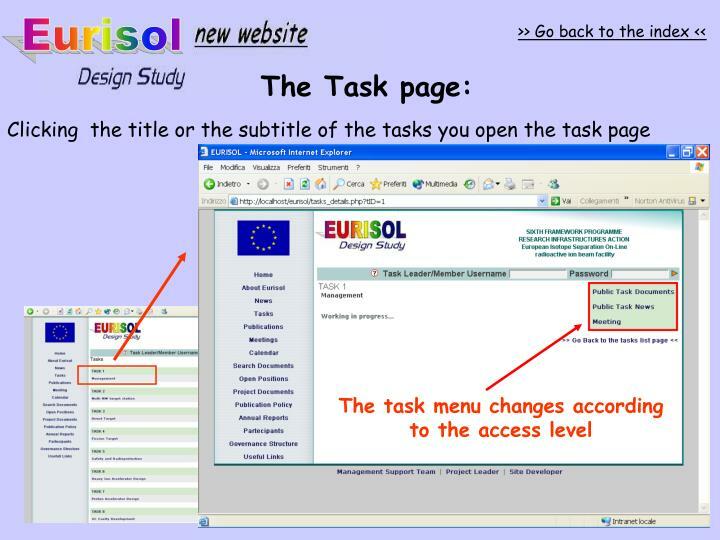 The task menu changes according to the users access level. 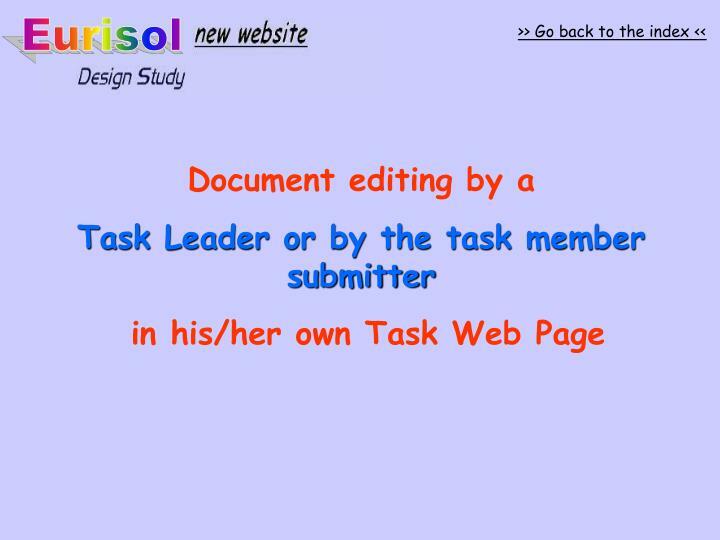 Only WEBMASTER, TASK LEADER, TASK MEMBER can insert a document. 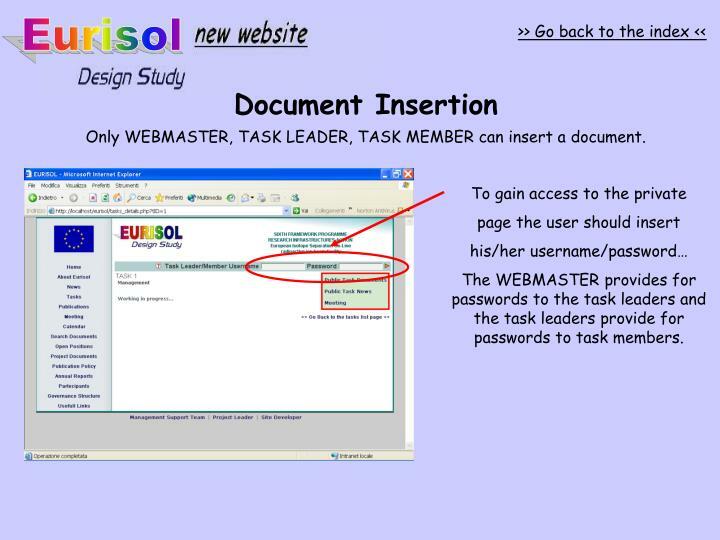 The WEBMASTER provides for passwords to the task leaders and the task leaders provide for passwords to task members. 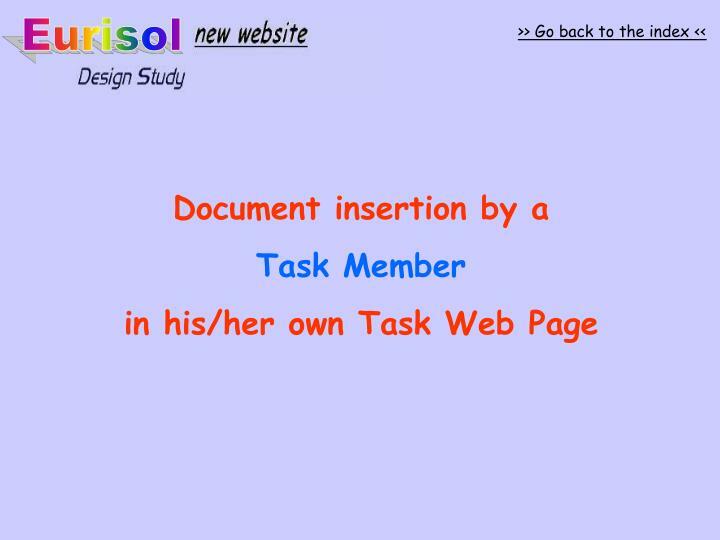 The inserting form is very simple. 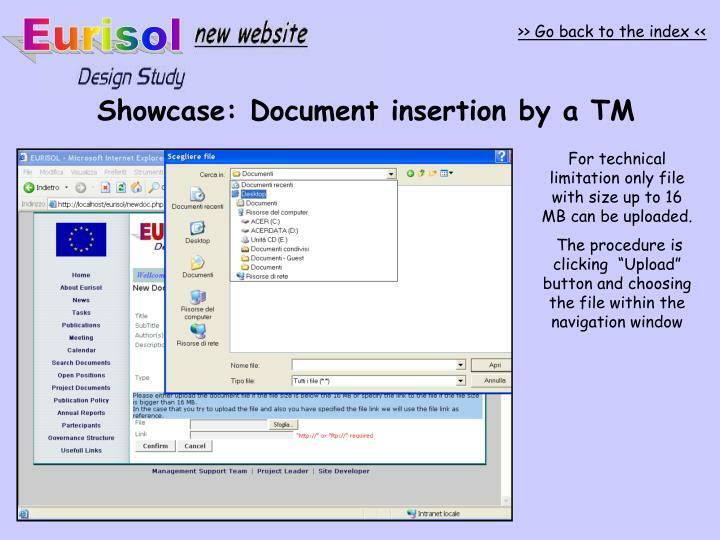 The TM has to insert document title, document subtitle, document description ect..
For technical limitation only file with size up to 16 MB can be uploaded. 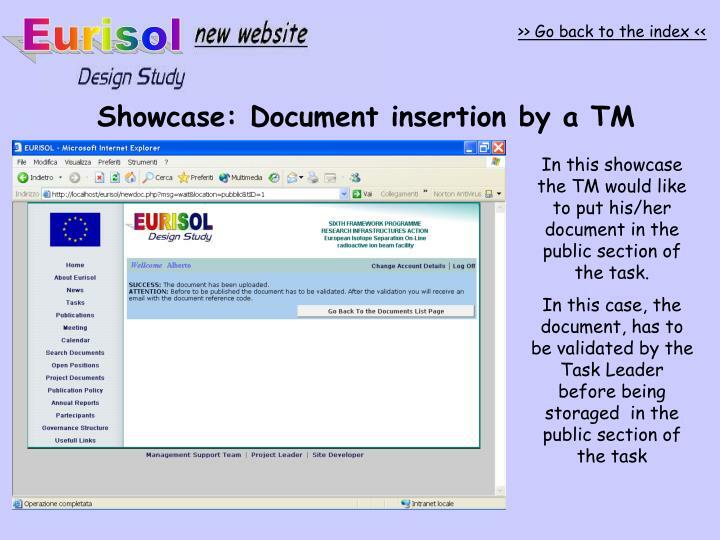 In this showcase the TM would like to put his/her document in the public section of the task. 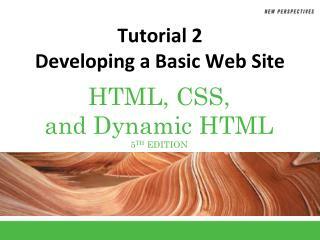 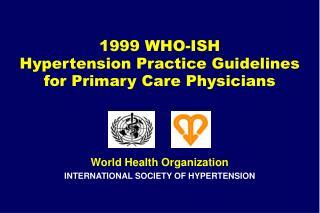 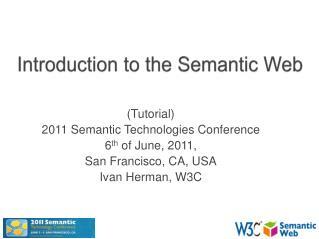 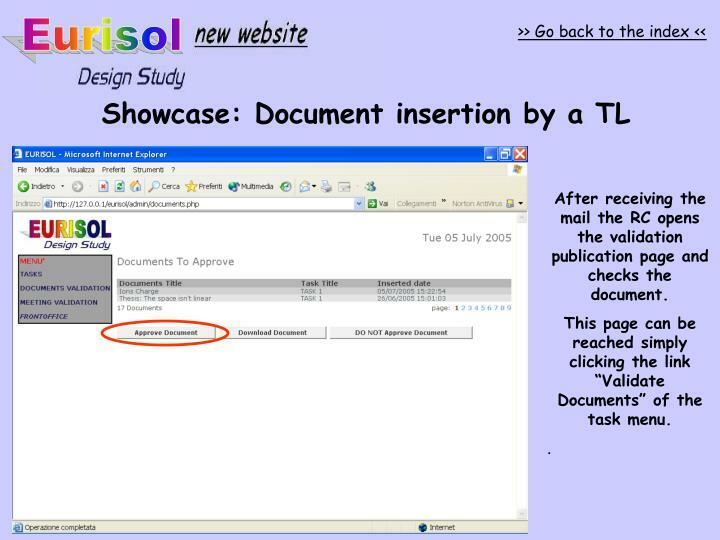 (*) in this case the document code will be sent via mail by the webmaster or by the validator. 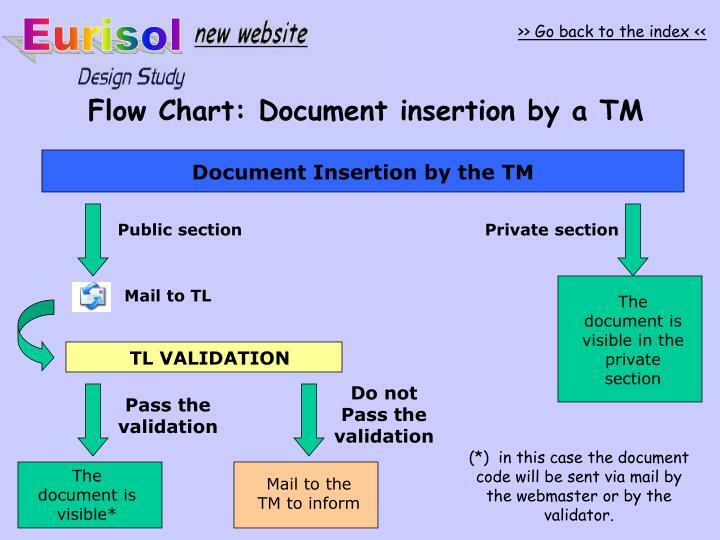 After receiving the mail the TL opens the validation document page and checks the document. 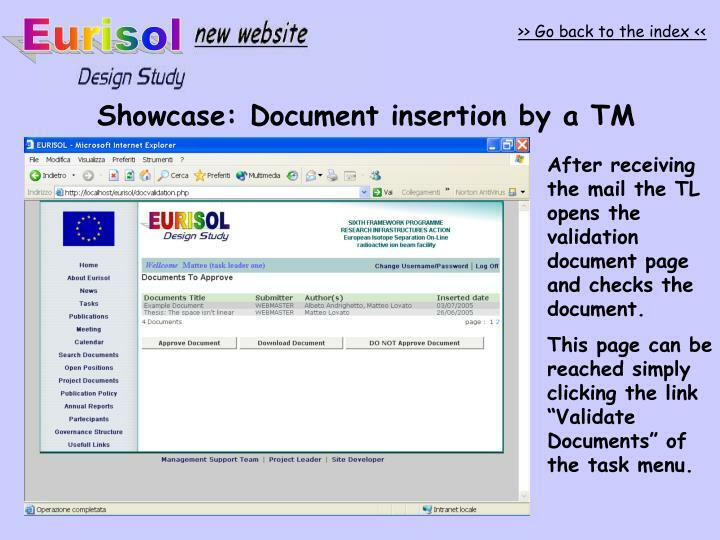 This page can be reached simply clicking the link “Validate Documents” of the task menu. 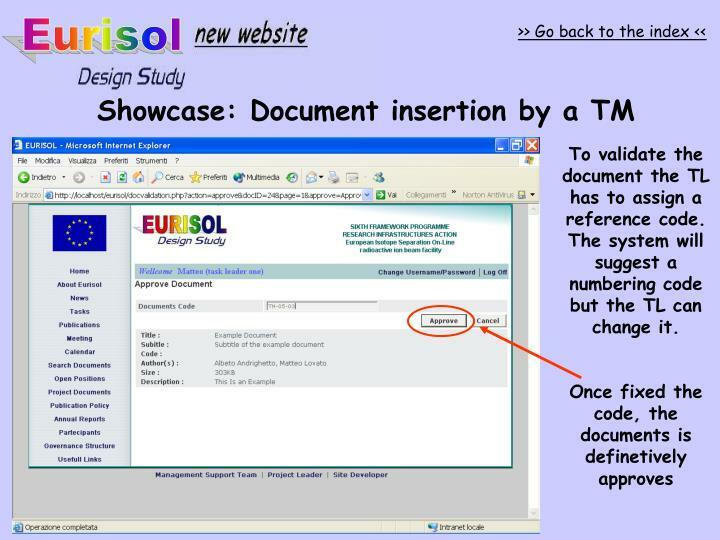 To validate the document the TL has to assign a reference code. 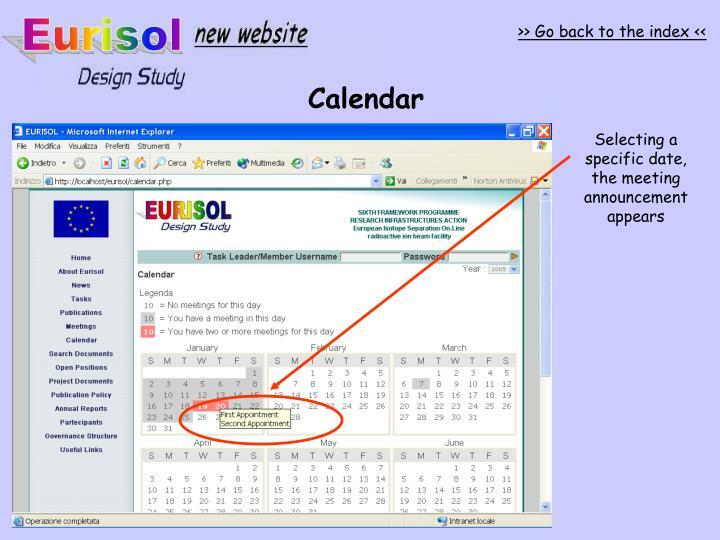 The system will suggest a numbering code but the TL can change it. 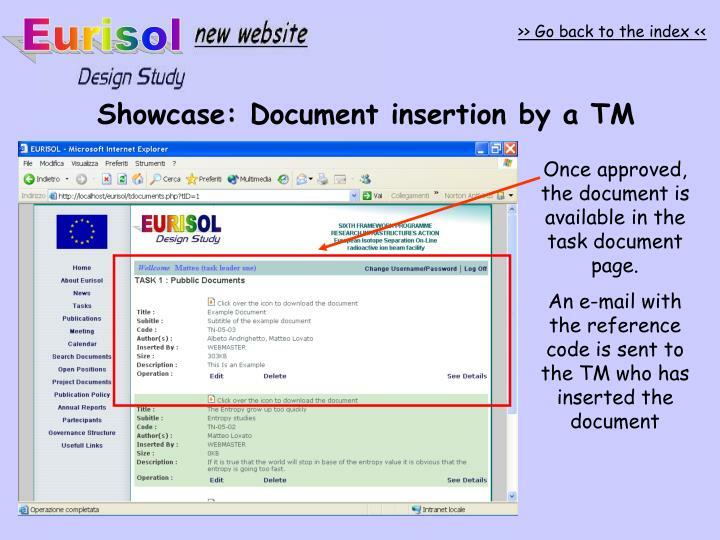 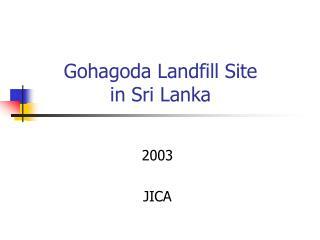 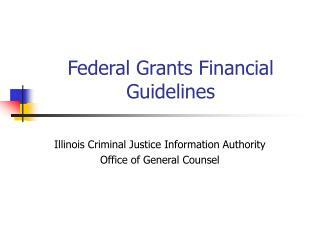 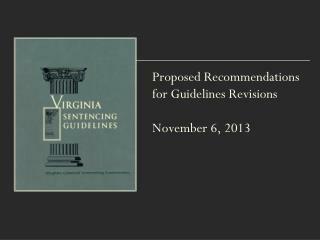 Once approved, the document is available in the task document page. 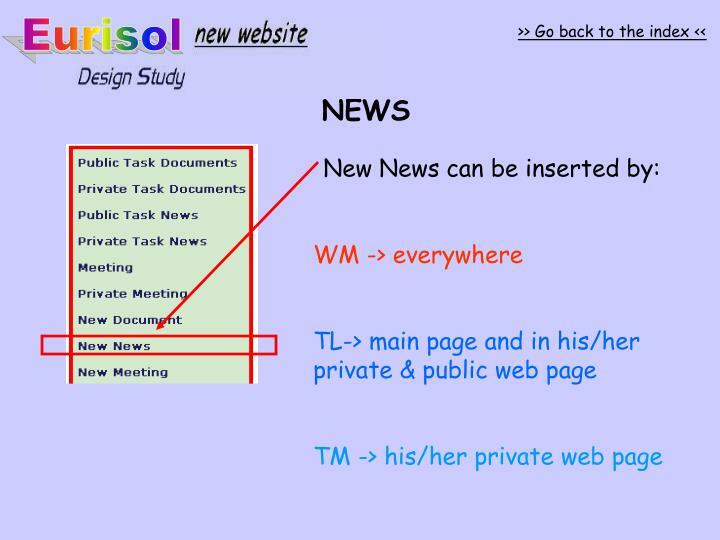 In addition to the TM functionalities, the TL could access to other funtions. 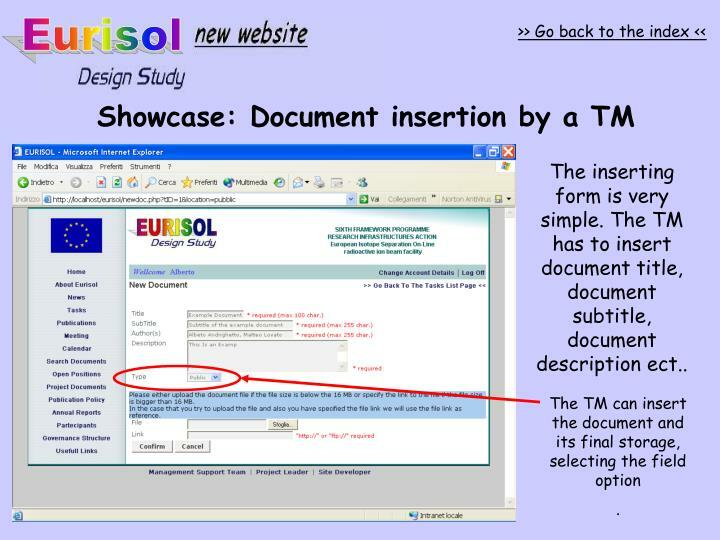 The ‘new document’ form is the usual one but in this case the field “Type” has an additional option. 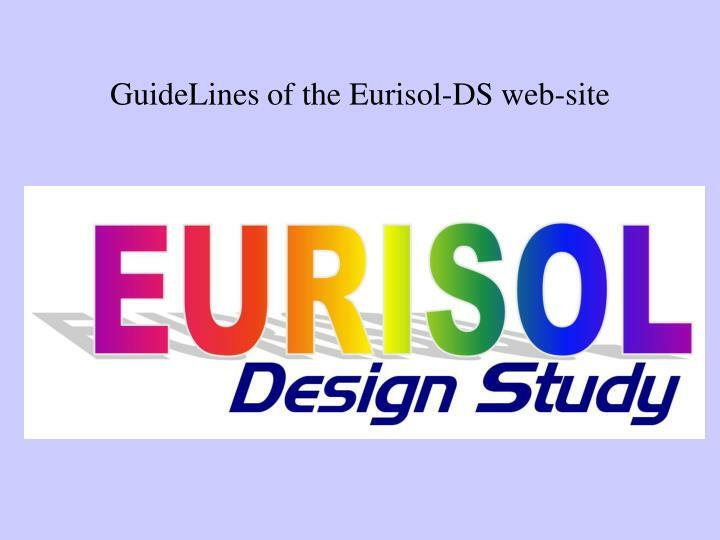 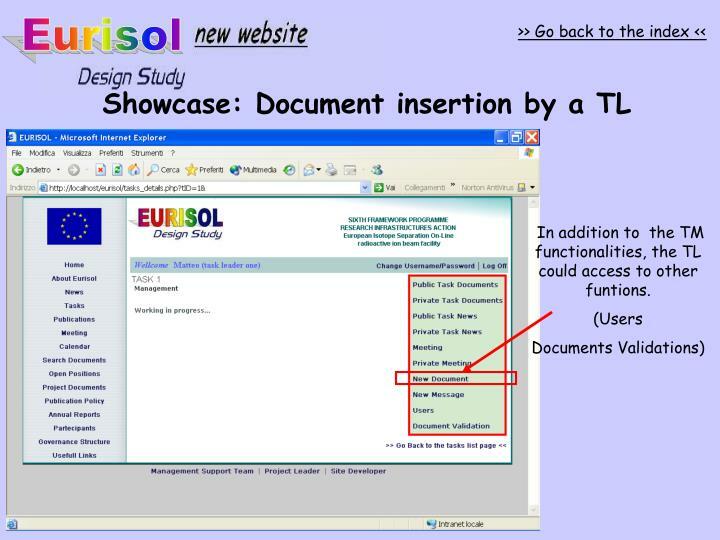 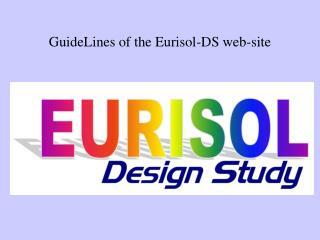 The new field allows the TL to insert the document in the EURISOL publication page. 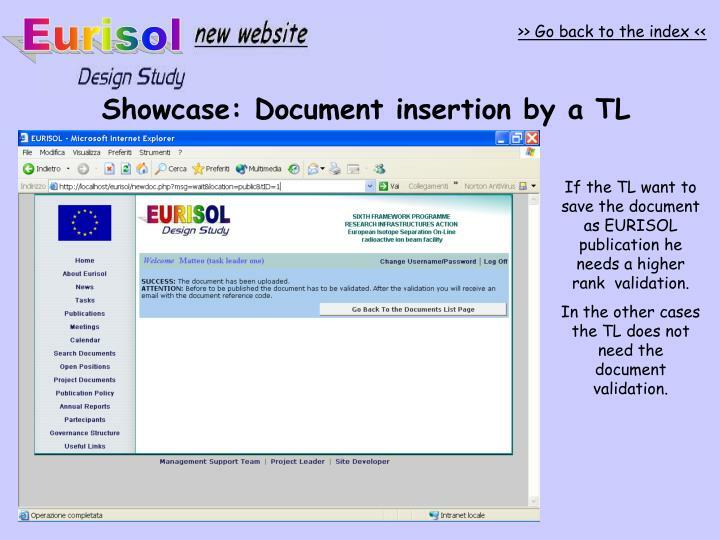 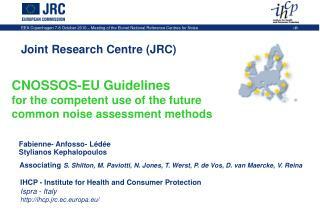 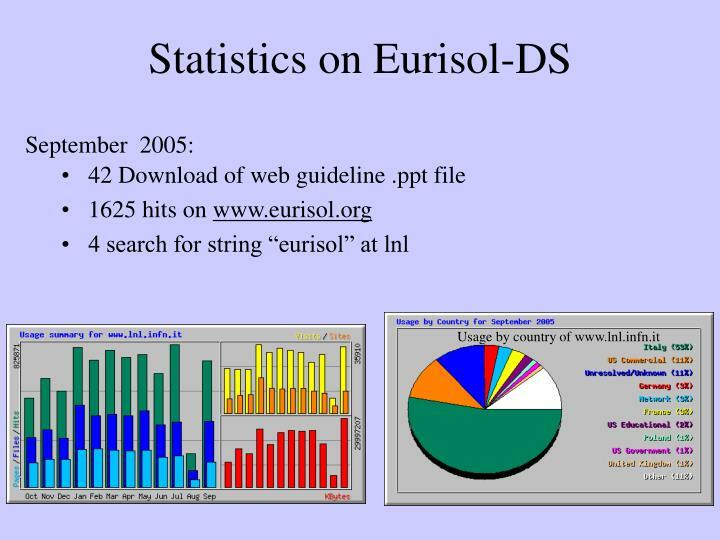 If the TL want to save the document as EURISOL publication he needs a higher rank validation. 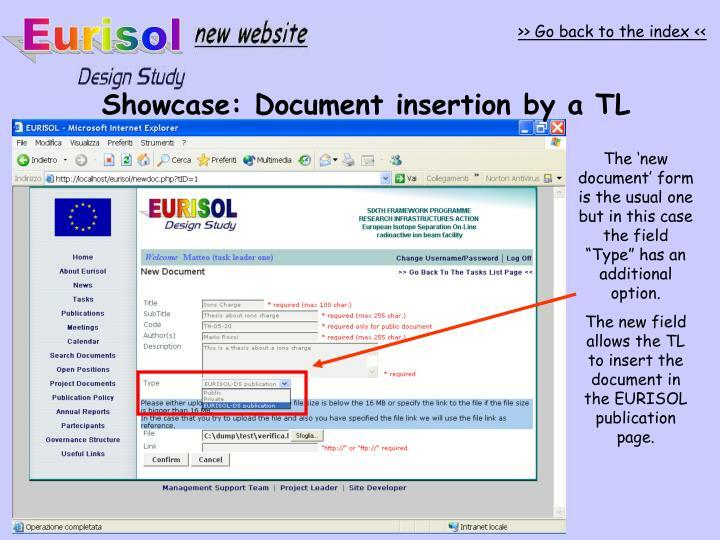 In the other cases the TL does not need the document validation. 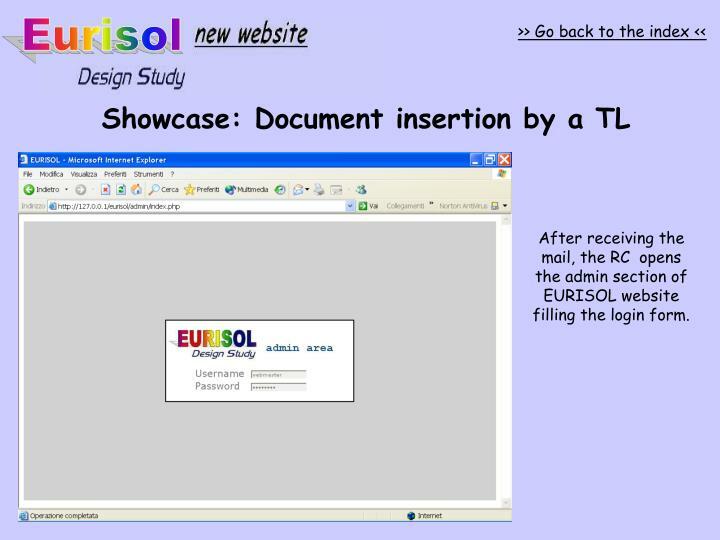 (*) in this case the document code will be sent via mail by the RC. 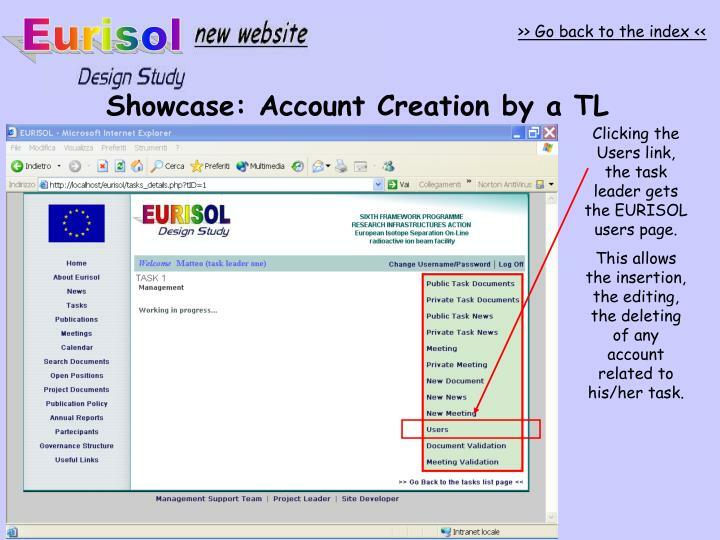 After receiving the mail, the RC opens the admin section of EURISOL website filling the login form. 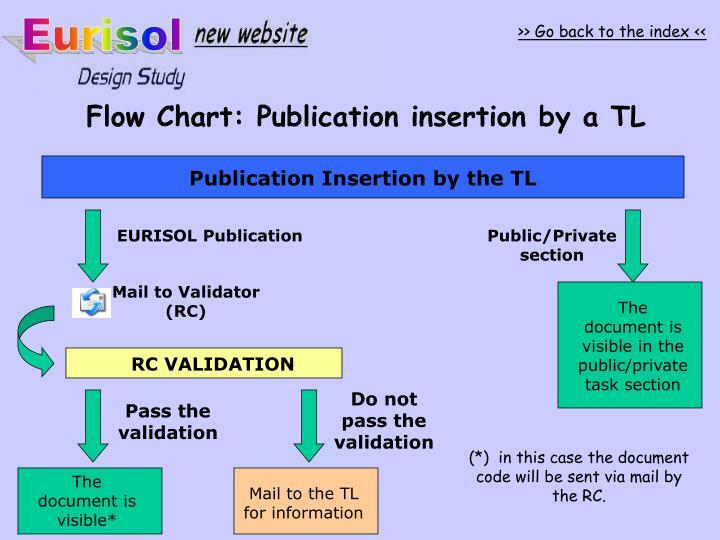 After receiving the mail the RC opens the validation publication page and checks the document. 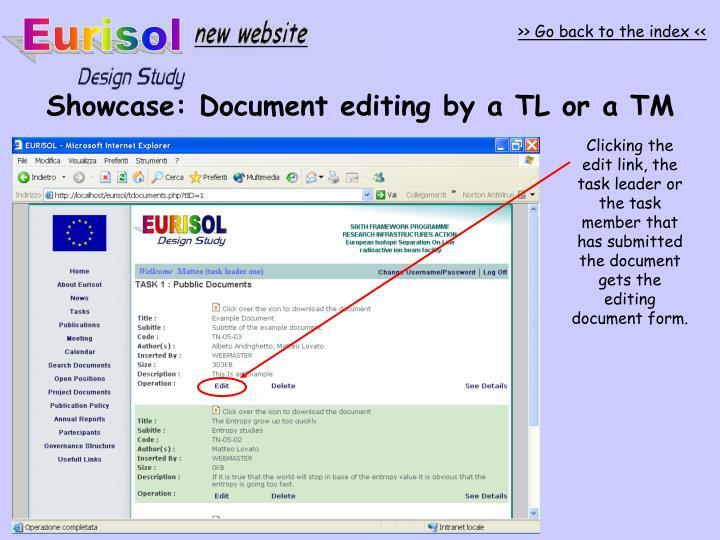 Clicking the edit link, the task leader or the task member that has submitted the document gets the editing document form. 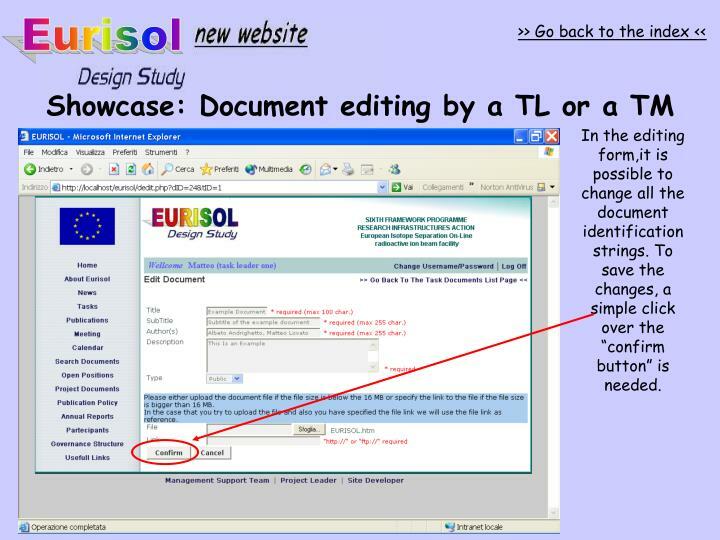 In the editing form,it is possible to change all the document identification strings. 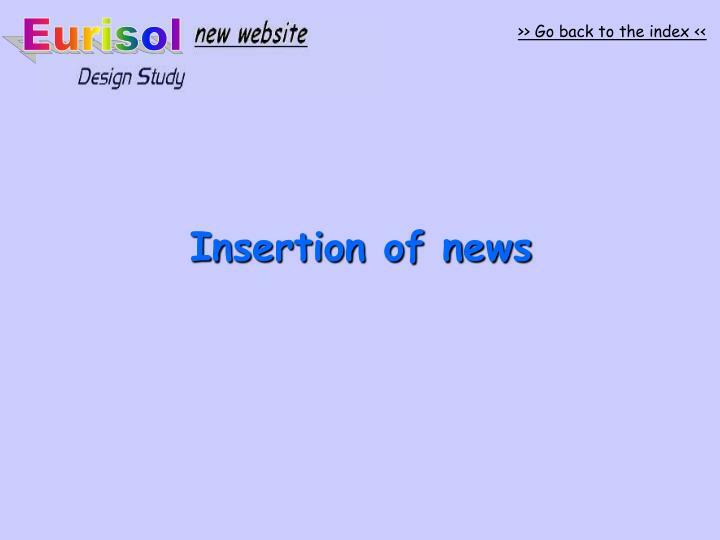 To save the changes, a simple click over the “confirm button” is needed. 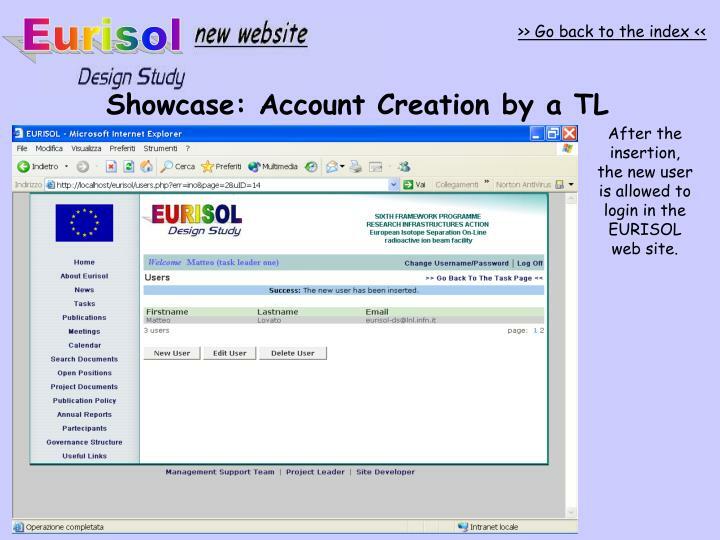 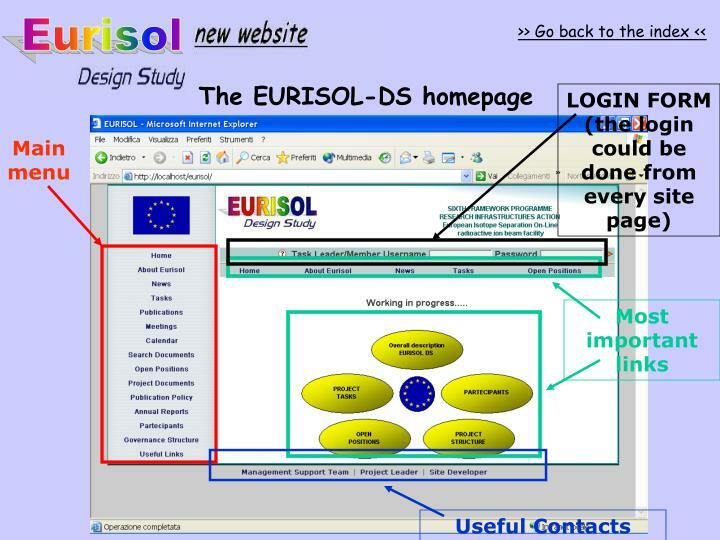 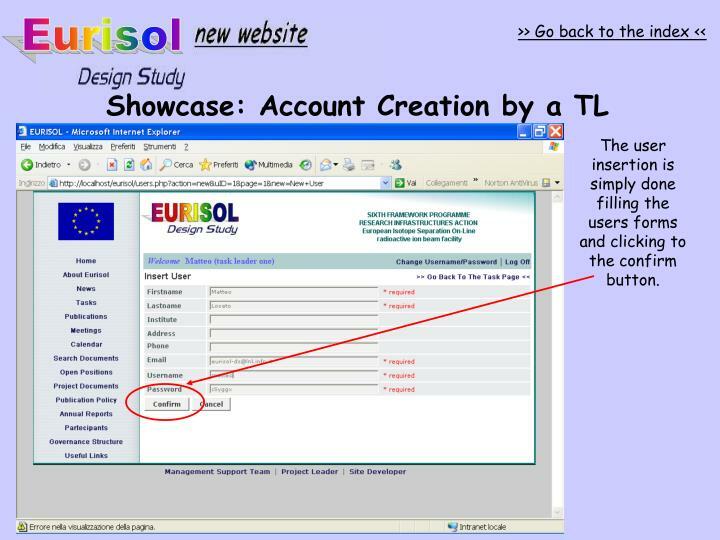 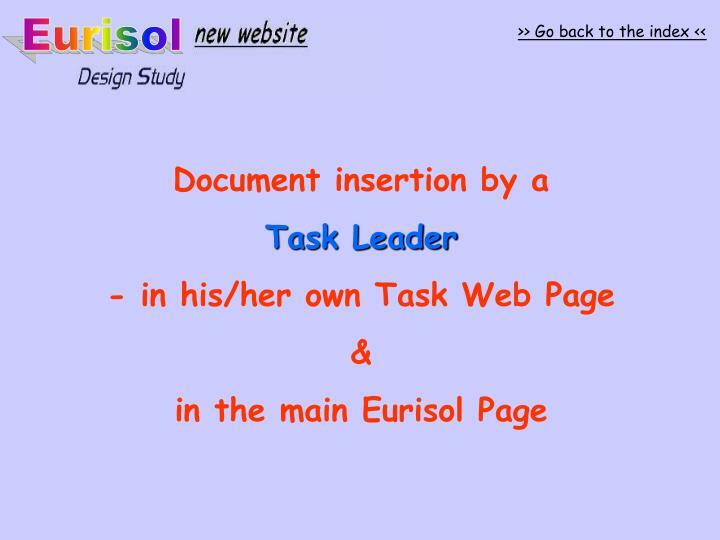 Clicking the Users link, the task leader gets the EURISOL users page. 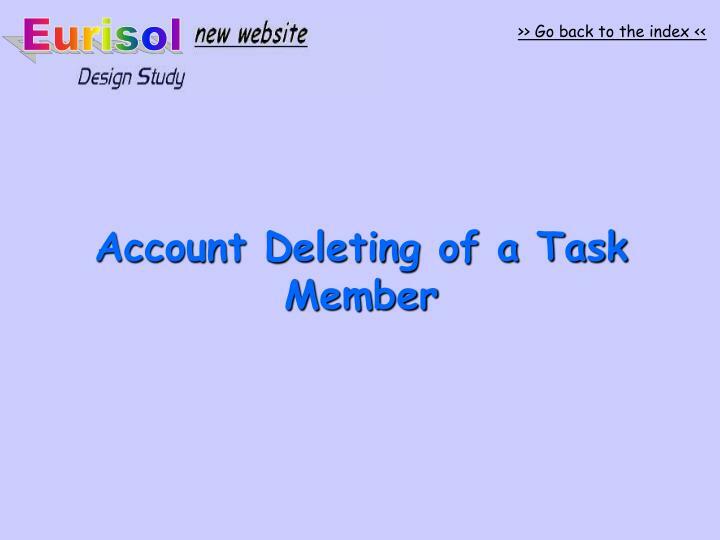 This allows the insertion, the editing, the deleting of any account related to his/her task. 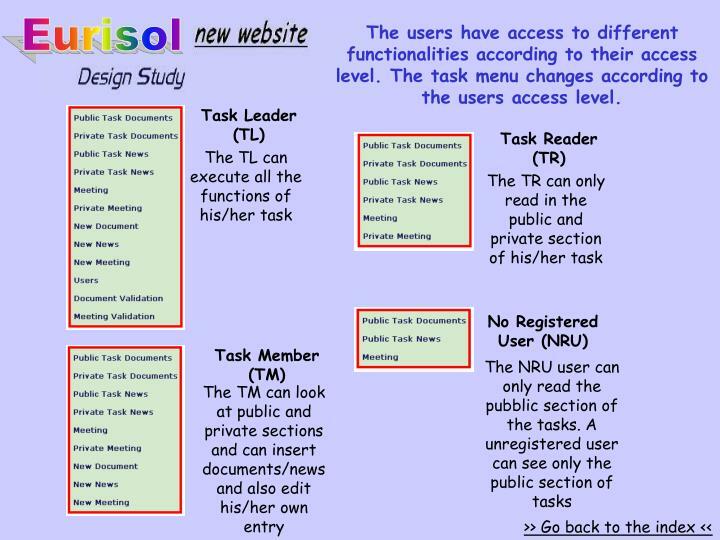 Clicking the the “new user button”, the Task leader gets the “new user field” for a new insertion. 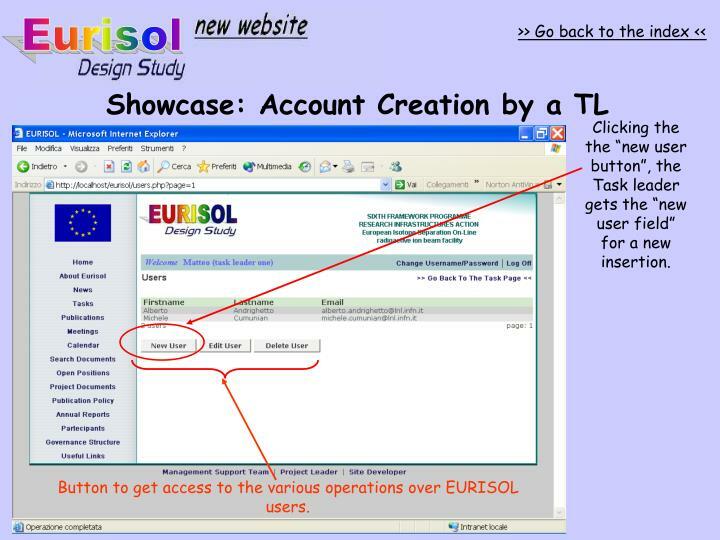 Button to get access to the various operations over EURISOL users. 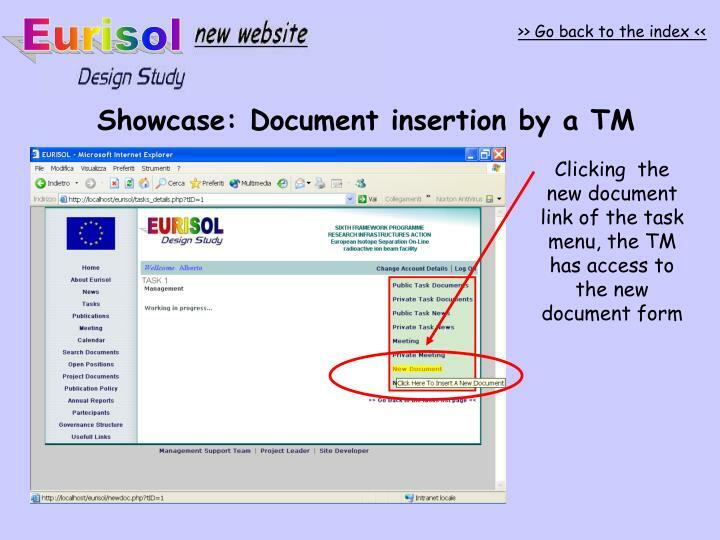 The user insertion is simply done filling the users forms and clicking to the confirm button. 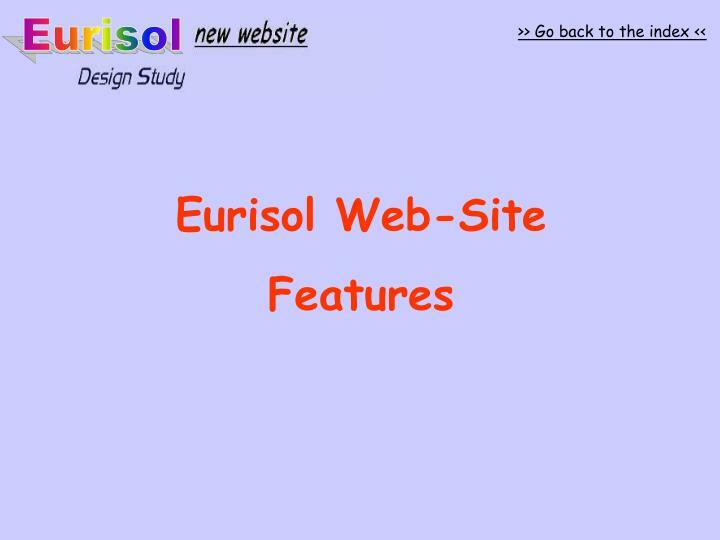 After the insertion, the new user is allowed to login in the EURISOL web site. 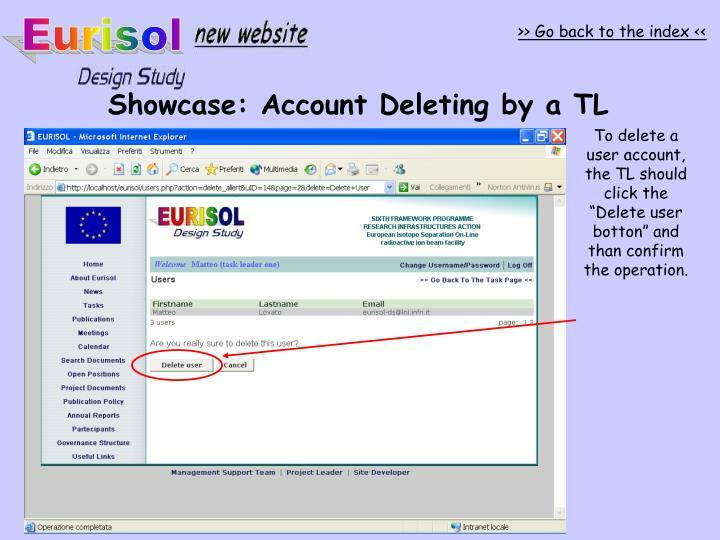 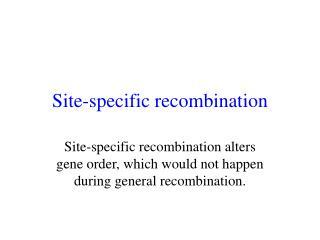 To delete a user account, the TL should click the “Delete user botton” and than confirm the operation. 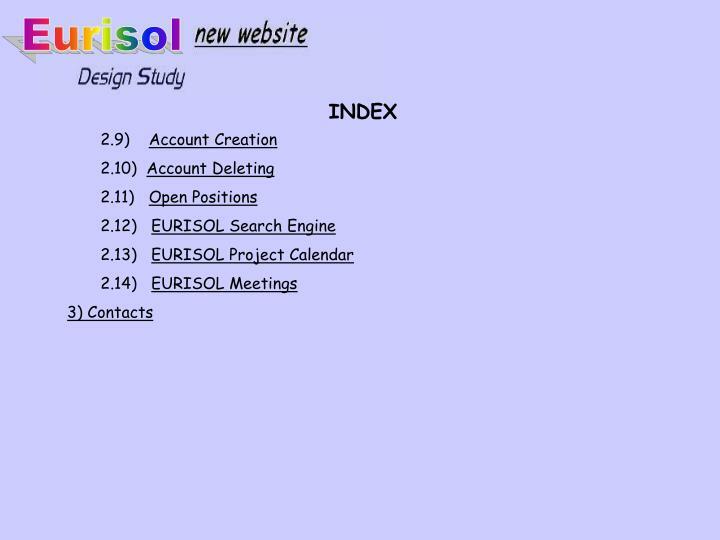 Clicking the open positions link, all the open positions inserted by the WEBMASTER are displayed. 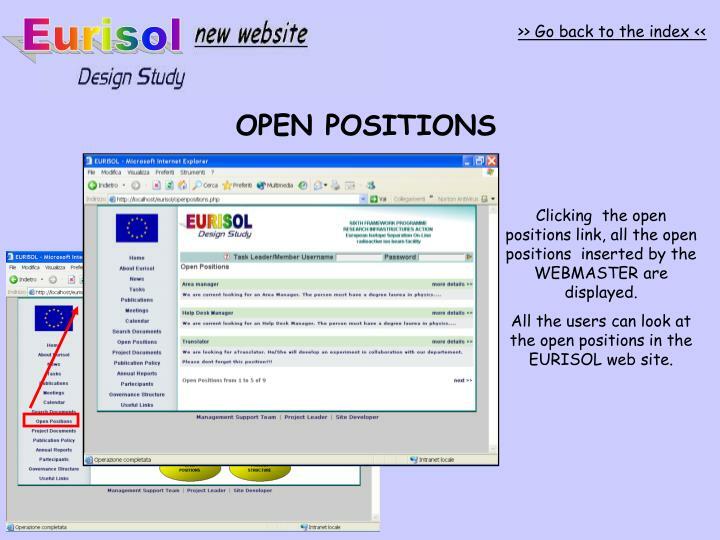 All the users can look at the open positions in the EURISOL web site. 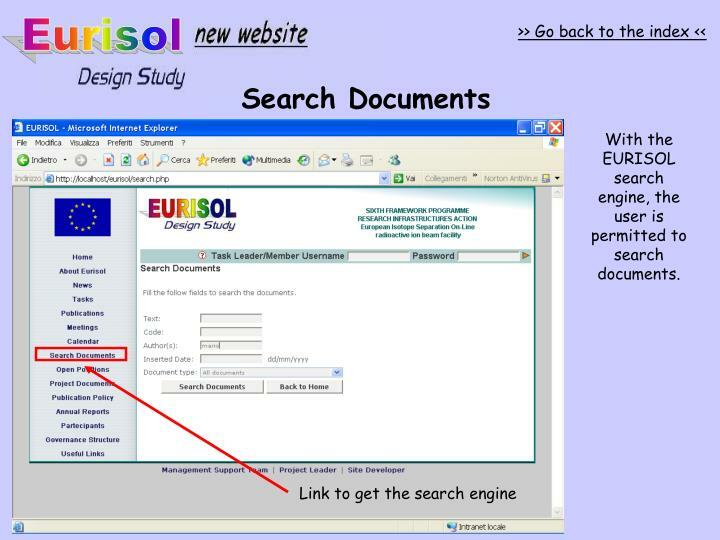 With the EURISOL search engine, the user is permitted to search documents. 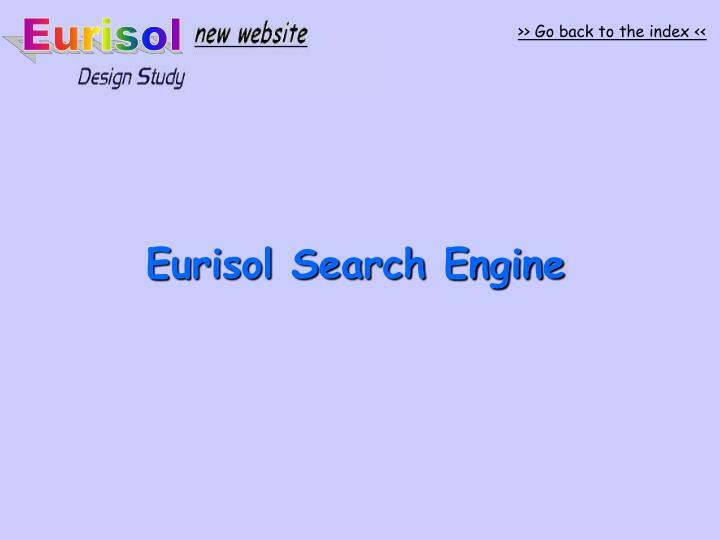 The search results change according to the user rank. 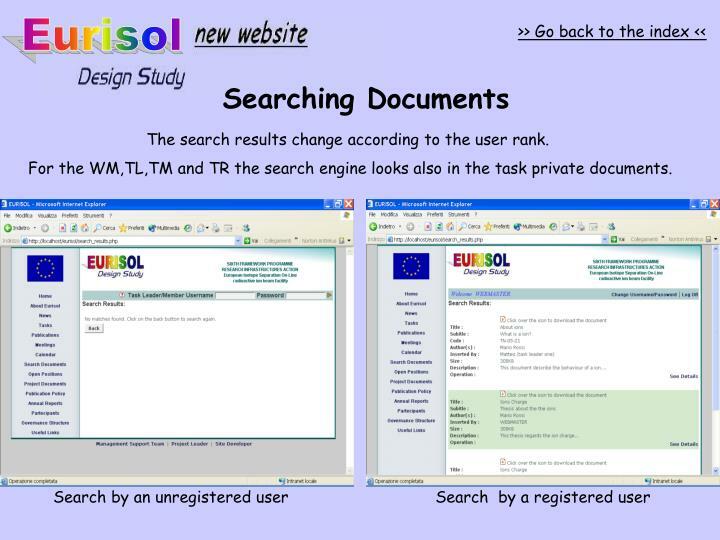 For the WM,TL,TM and TR the search engine looks also in the task private documents. 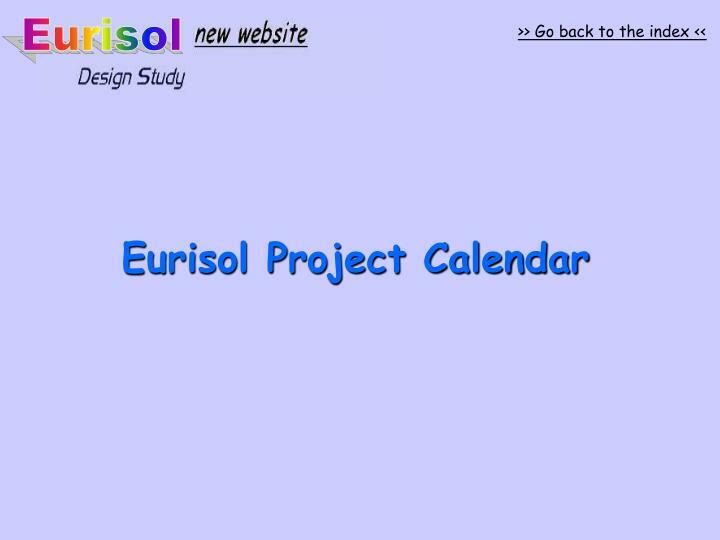 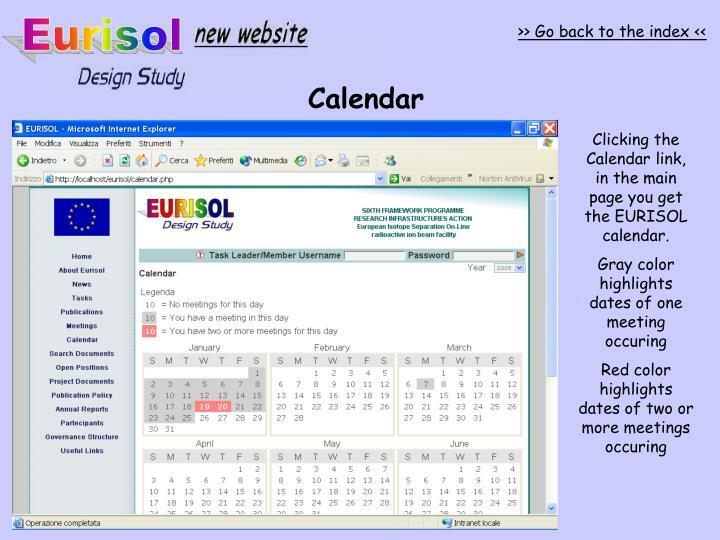 Clicking the Calendar link, in the main page you get the EURISOL calendar. 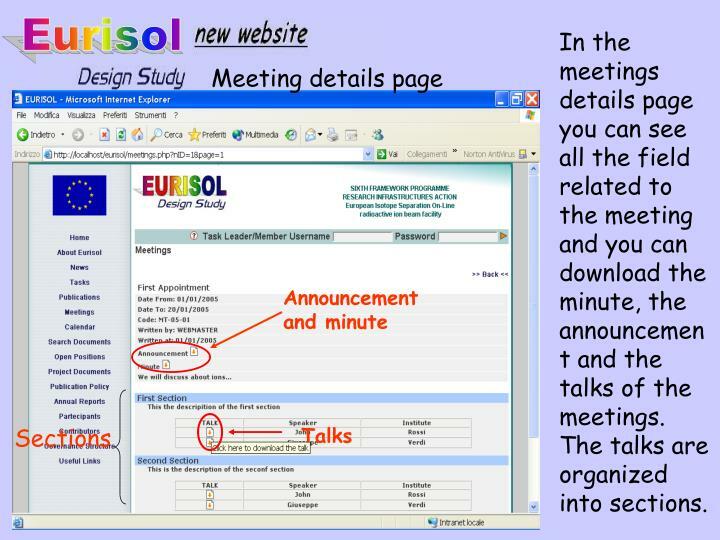 The meetings can be EURISOL meetings or Task Meetings. 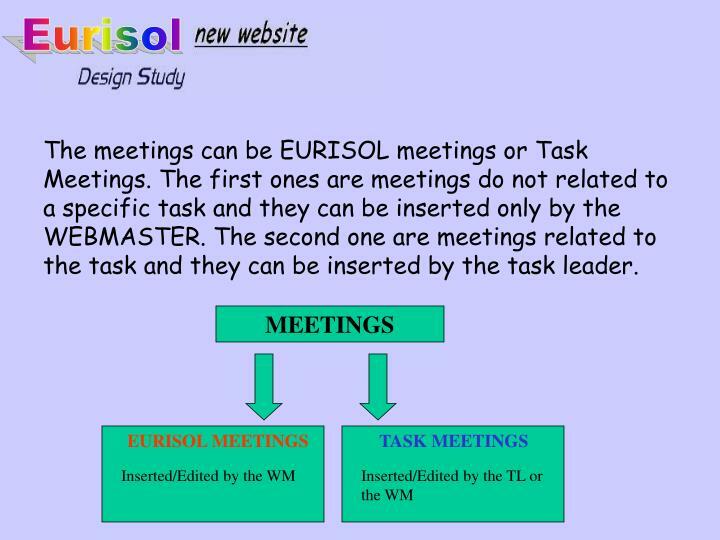 The first ones are meetings do not related to a specific task and they can be inserted only by the WEBMASTER. 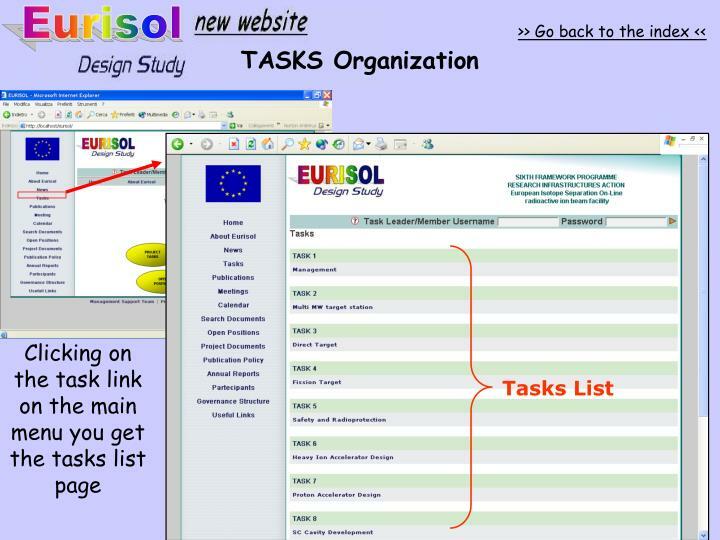 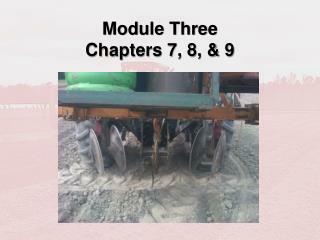 The second one are meetings related to the task and they can be inserted by the task leader. 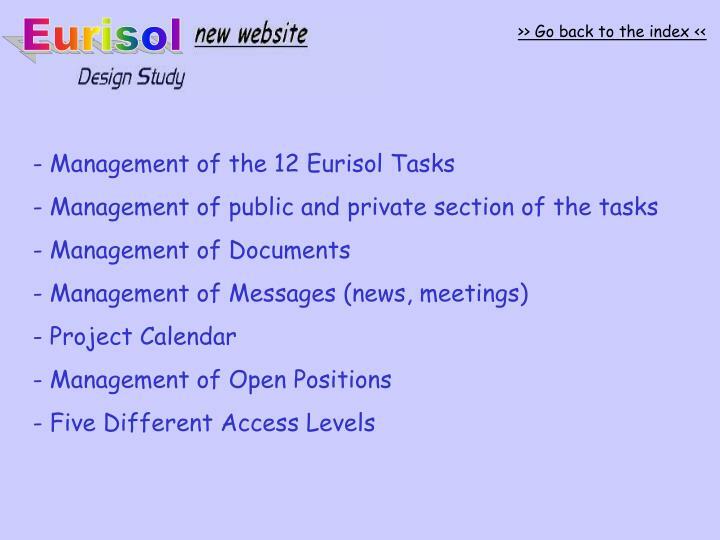 Clicking over “Meetings” in the main menu it appears a list of the EURISOL meeting. 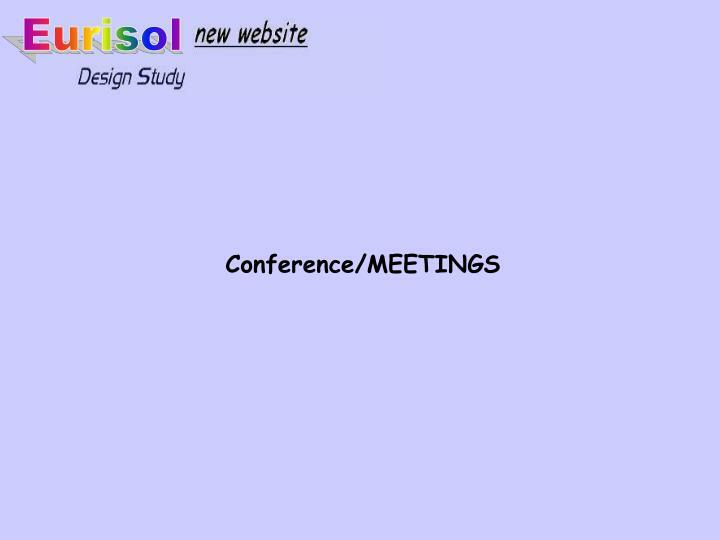 In the meetings details page you can see all the field related to the meeting and you can download the minute, the announcement and the talks of the meetings. 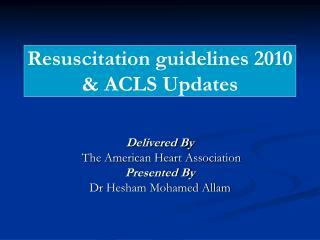 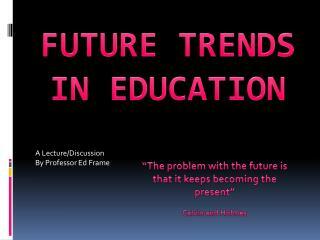 The talks are organized into sections. 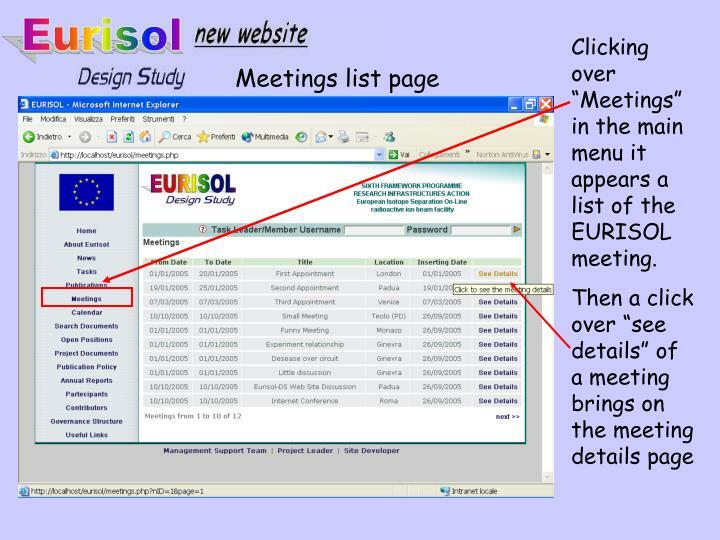 After login the webmaster can insert a new EURISOL meeting or a task leader can insert a new TASK meeting. 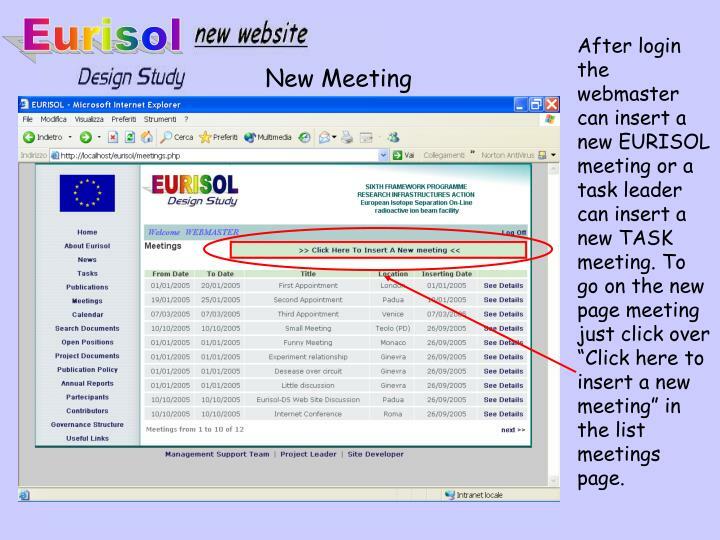 To go on the new page meeting just click over “Click here to insert a new meeting” in the list meetings page. 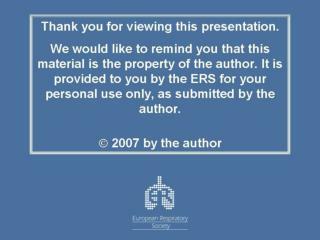 To every meeting it is assigned an unique code. 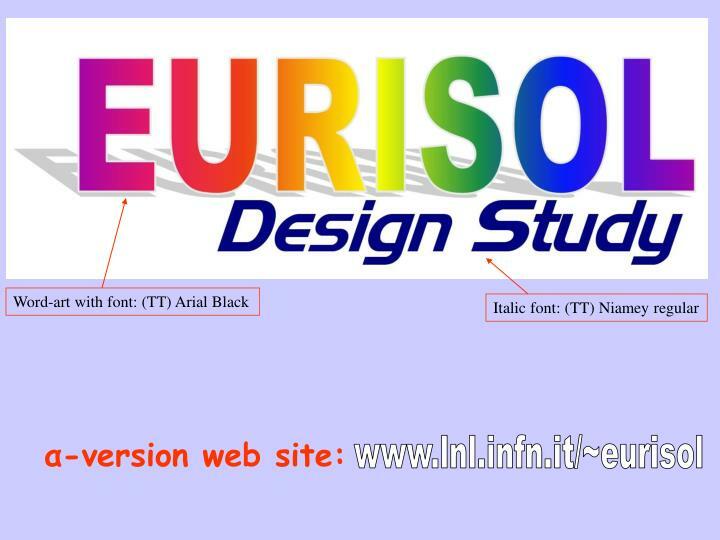 This code can not be edited. 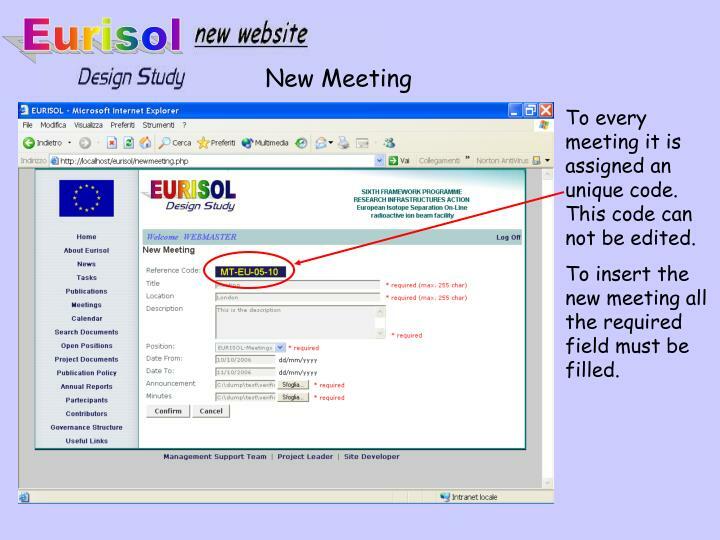 To insert the new meeting all the required field must be filled. 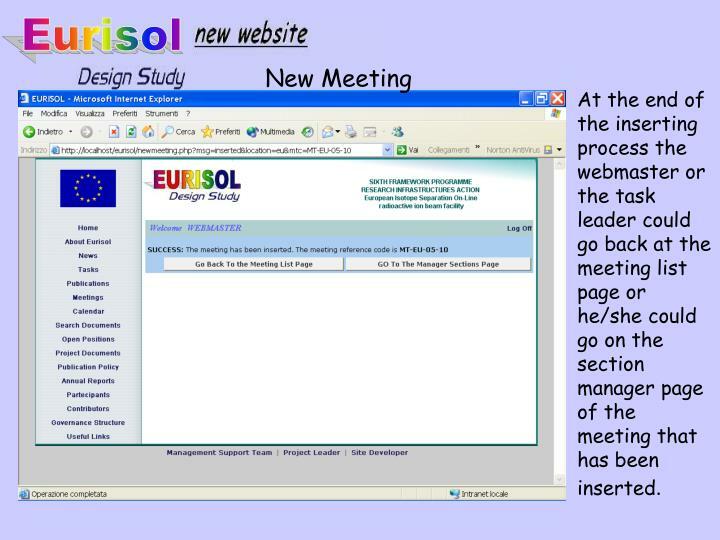 At the end of the inserting process the webmaster or the task leader could go back at the meeting list page or he/she could go on the section manager page of the meeting that has been inserted. 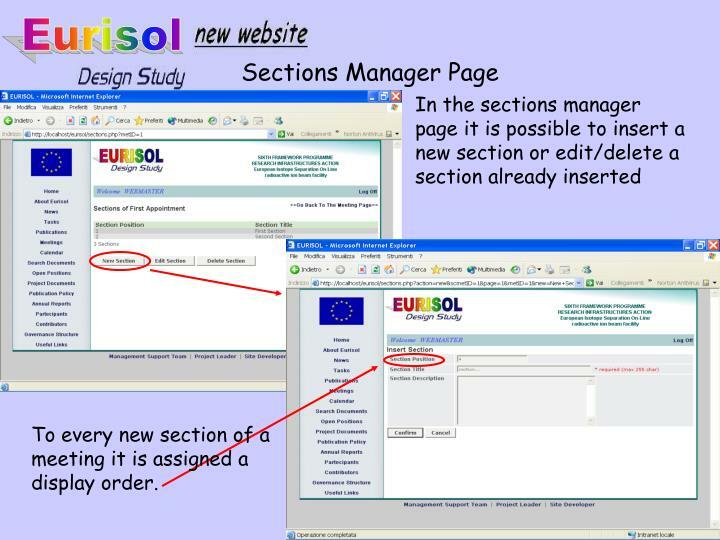 To every new section of a meeting it is assigned a display order. 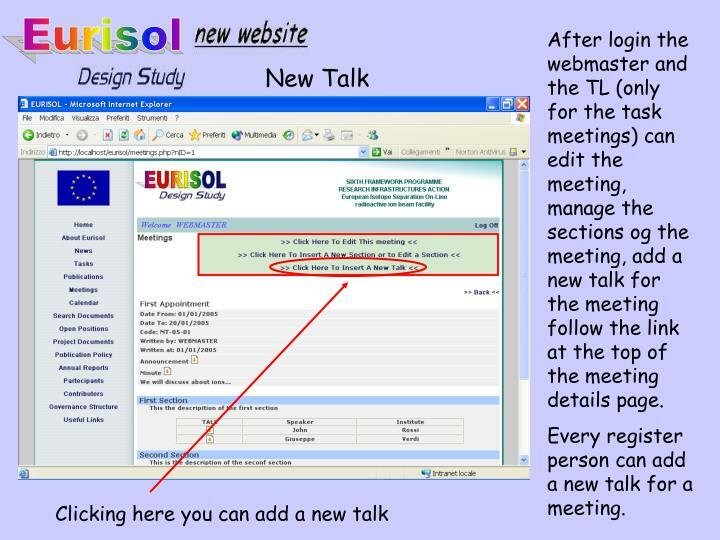 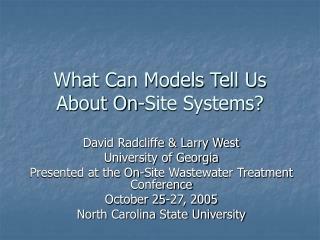 After login the webmaster and the TL (only for the task meetings) can edit the meeting, manage the sections og the meeting, add a new talk for the meeting follow the link at the top of the meeting details page. 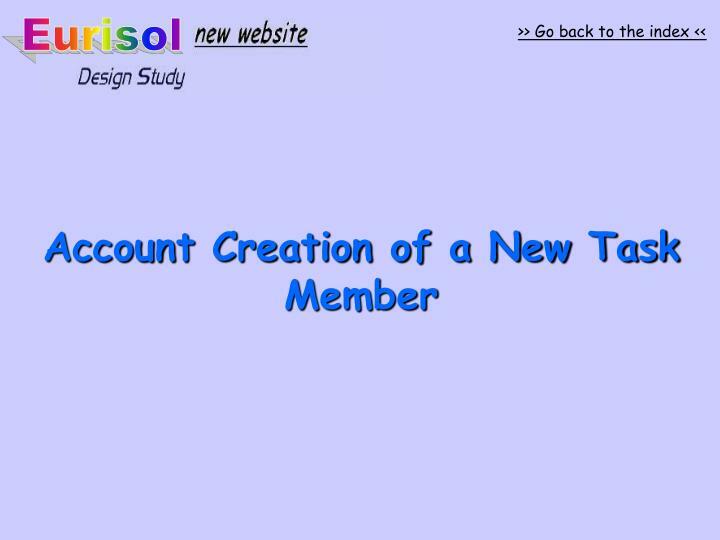 Every register person can add a new talk for a meeting. 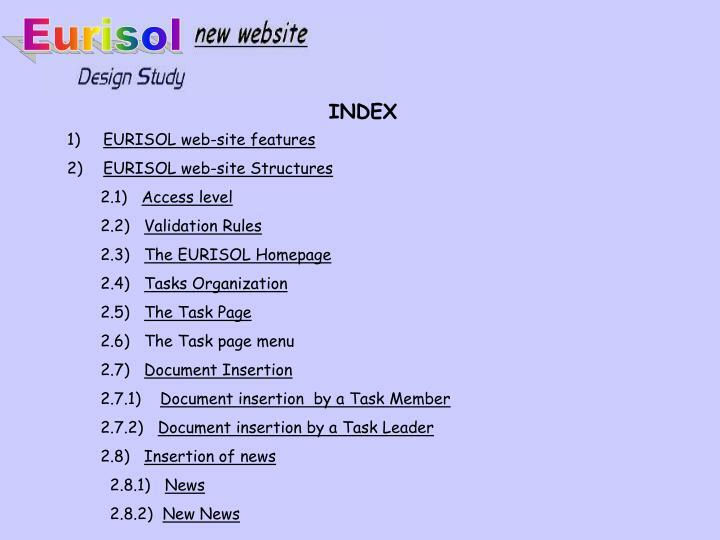 When you try tom insert a new talk you first obtain a list of all the talks that you have inserted into that meeting. 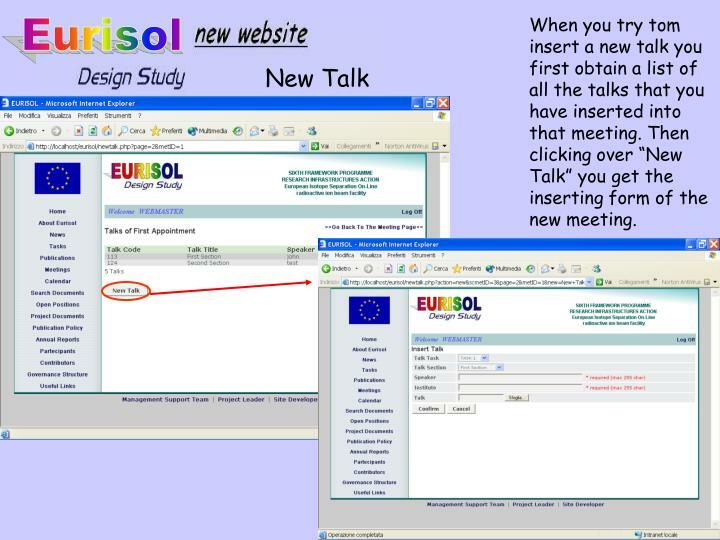 Then clicking over “New Talk” you get the inserting form of the new meeting.